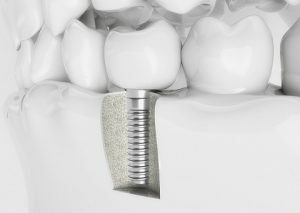 Dental implants, bridges, and dentures are today’s solutions for missing teeth. They are excellent solutions – but scientists are studying stem cells in order to grow teeth. This may provide another option for patients. Teeth have already been ‘grown’ from stem cell experiments in laboratory animals. Future studies will investigate the use of stem cells growing new teeth in humans.